Gibraltar - Bass Drum Felt Strips 2-Pack SC-BF The Gibraltar SCBF Bass Drum Felt Strips are 2-1/4 inch wide strips that mount inside the drumhead. Fits up to a 26 inch bass drums. Two per pack. Gibraltar - SC-15C Generic Bass Drum Pedal Springs The Gibraltar SC15C Generic Bass Drum Pedal Spring is a lively stainless steel spring that fits most bass drum pedals. Two per pack. 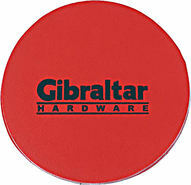 Gibraltar - Double Bass Drum Beater Pad SC-DPP The Gibraltar SCDPP Double Pedal Impact Pad is a leather-like vinyl pad that mounts directly to the bass drum head. Uses same material as SC-BPL for use with double pedals. One per pack. Gibraltar - Bass Drum Key Rods 4-Pack SC-BDKR/S The Gibraltar SCBDKR/S Bass Drum Key Rod is 4 3/16 inches (106mm) long x 6mm in diameter with a 7/32 inch thread key style. Fits most standard bass drums. Four tension rods per pack. Gibraltar - Bass Drum Beater Pad Vinyl 4-Pack SC-BPL The Gibraltar SCBPL Impact Pad is a leather-like vinyl beater pad that mounts directly to drum head. Four per pack. Gibraltar - Bass Drum Claw Hooks 4-Pack SC-CH These Gibraltar SCCH Bass Drum Claw Hooks fit most standard bass drum hoops. Four per pack. FENDER - 351 Shape Graphic Picks, 12 Pack, Heavy, Checker Express your unique fashion and style while experiencing the classic feel of Fender no matter what guitar or bass you play. FENDER - 351 Classic Celluloid Confetti Medium Picks (12 Pi Experience the classic feel of Fender no matter what guitar or bass you play. FENDER - 351 Shape, 12 Thin Premium Picks, Red Moto Experience the classic feel of Fender no matter what guitar or bass you play. 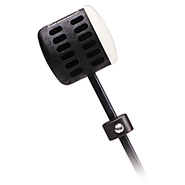 Gibraltar - Light Weight Bass Drum Beater SC-LBDB The Gibraltar SCLBDB Bass Drum Beater has a felt surface and is lightweight for a faster response. Fits most pedals. FENDER - Thumbrest for Jazz and Precision Basses 1 Thumbrest for Precision and Jazz Bass. Boss - BGD-01 Guitar Detailer, 4 oz BGD-01 is the safe solution to clean shine and maintain all types of guitar and bass finishes. Gibraltar - Felt Bass Drum Beater SC-3261 The Gibraltar SC3261 Beater is an excellent replacement beater with a strong steel shaft and circular felt beater for durability and a punchy sound. Appropriate for a variety of musical and drumming styles.
. - 520P Classical Guitar Strings Set of plastic wound treble strings/silver plated wound basses normal tension. 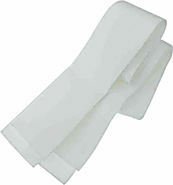 Features Mi-E monofilament rectified nylon.